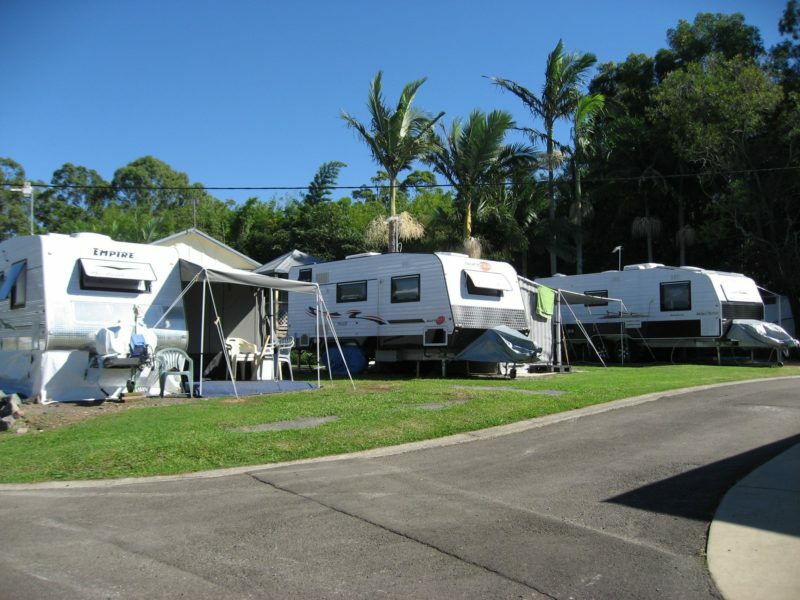 Ocean View Caravan and Tourist Park is situated in the heart of the Sunshine Coast Hinterland. 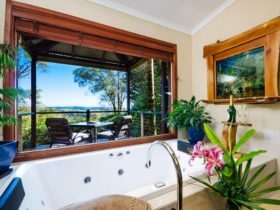 An opportunity to relax and unwind with views to Maroochydore and across to Bribie Island from the comfort of your veranda or caravan annexe. 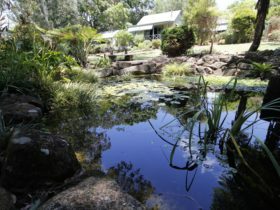 Centrally located, you can visit the historical Village Museum at Landsborough, take a walk in the National Parks, visit Australia Zoo and the Glass House Mountains. 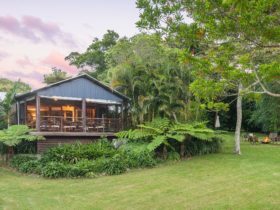 They are just a short drive to Mary Cairncross Scenic Reserve, Gardner Falls, Botanic Gardens and Aviary, popular restaurants and more. Venture over to award winning Kings Beach just a short 20 minute drive to the coast. 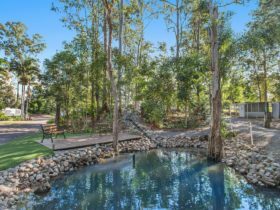 They have tourist maps, phone recharge, Swap’N’go Gas, ticket sales for Sunshine Coast attractions including Australia Zoo plus free discount vouchers. A local bus service stops outside the park with connections to Cairns, Sunshine Coast beaches and Brisbane. 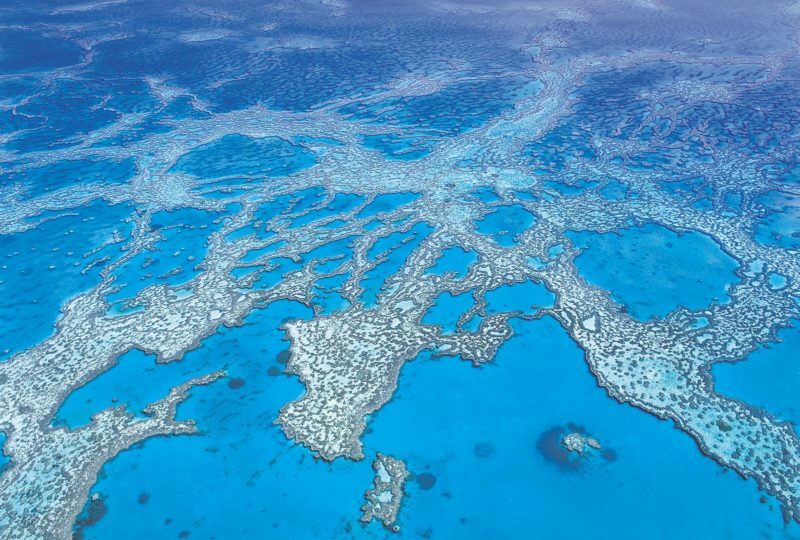 They offer ensuite cabin/villas, air-conditioning, fully self-contained, all linen provided and queen beds. Each unit has a deck/outdoor setting. 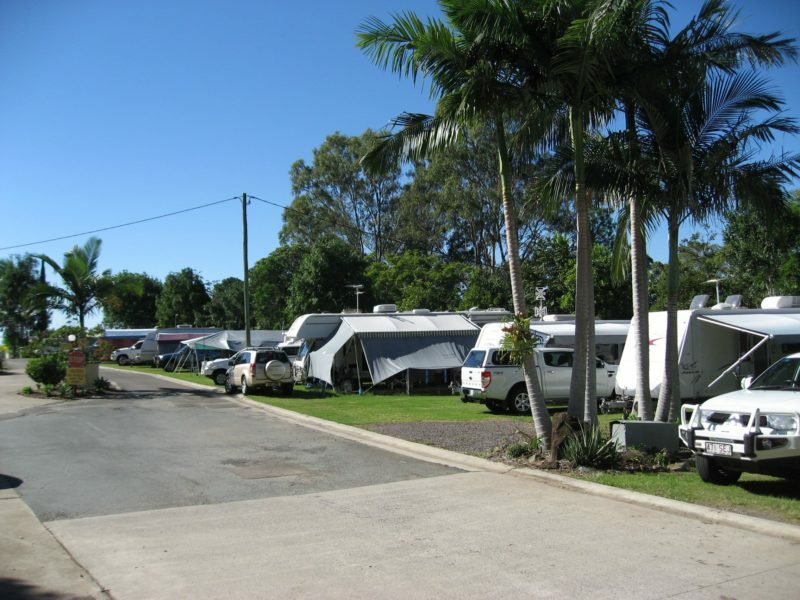 Caravan, campervan and camping sites also available with camp kitchen, amenities and laundry. Cleaned daily. 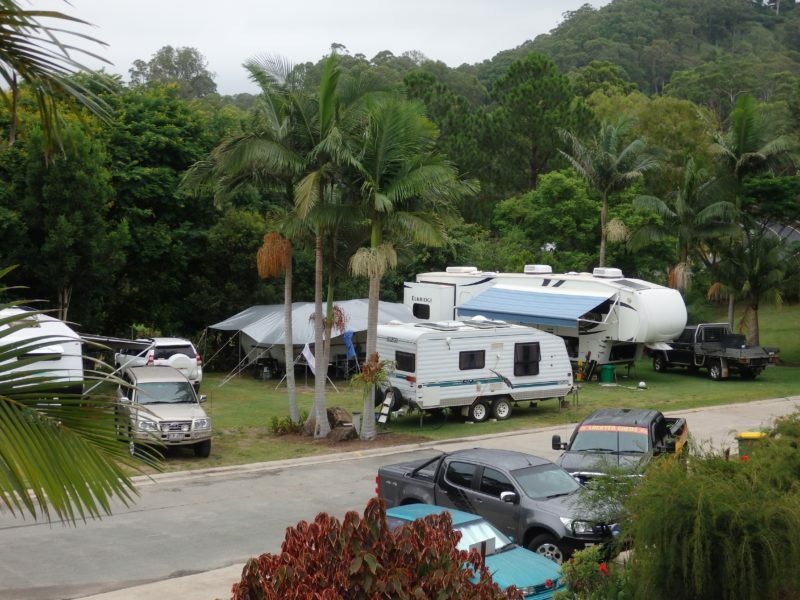 Follow Steve Irwin Way, turn off to Landsborough and head up the hill for three kilometres toward Maleny. They look forward to welcoming you. Studios offer a double bed, cooking facilities, crockery, cutlery, split air-conditioning, excellent views, parking beside unit. All linen supplied. Shared bathroom facilities. Grassed sites and sites with cement slabs, renovated amenities, laundry with washing machines, dryers, iron and ironing board. Camp kitchen with microwave, fridge, barbecue, tables and chairs, and hot and cold water. The Deluxe cabin has a queen bed, air-conditioning, ceiling fan, microwave, cooking facilities, crockery, cutlery, iron, ironing board, television, futon/lounge, toilet and shower. Bed made up with linen, car parking beside the cabin and a deck with great views. The Family cabin has a queen bed, single bunks, futon/lounge, air-conditioning, ceiling fan, cooking facilities, crockery, cutlery, microwave, iron, ironing board, toilet, shower, television, and deck. Car parking beside the cabin. This cabin is also wheelchair friendly throughout. Powered sites AUD36 (two people), extra adult AUD15, under 16 AUD10. Cabins/Villas range AUD126 to AUD165 (two people on a Queen bed). Studios AUD110 (two people on a Double bed). Extra person AUD20. Children under five years stay free. Self contained and linen provided.